Give your diva a funky place to get beautified and indulge in the latest of fashion with the Fashion Prints Zebra Vanity & Stool Set. 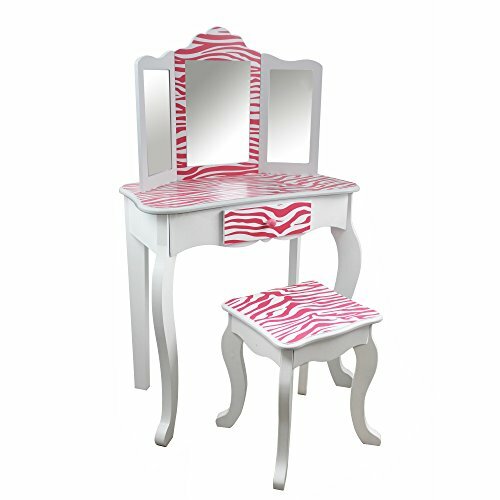 Gorgeous hot pink zebra print decorates the vanity while white trim blends into the design. Comes with a sturdy stool and drawer space to store all of her favorite fashion accessories.